If you need a do over right now…..
Who needs this reminder today? Go. Take five minutes, maybe take ten. Regroup. Reboot. And start over. God’s mercies aren’t just new every morning – they’re always fresh and waiting to be gathered and soaked in. 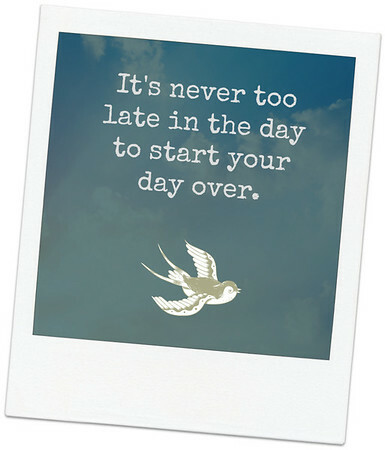 Make it a new day starting now.